Chennai is a city that’s always bustling with life. Buzzing round the clock, nightlife in the city is one of the best in South India. While on one hand you have pubs and bars to visit, there are a few places where you can chill out at night. Completely safe, these places are popular with locals and tourists alike. If you are in Chennai and are looking for fun and cool things to do at night, check out this list. This iconic building is not only famous for its idols of Swami Vivekananda, but also its beautiful structure. At night, when the lights are on, this place looks stunning. Although entry to the building is restricted at night, you can catch a glimpse and click a few pictures of the building from the outside. A free, late night activity to enjoy in Chennai is along walk on the beach. At Marina, you can enjoy cosy walks by the beach and soak in the sea breeze. Add to fun of the walk by indulging in delicious local street food. You can pick up snacks at food stalls on and around the beach. The Besant Beach is always crowded, even at night, you will find locals enjoying the cool sea breeze, taking long walks and local delicacies at the food stalls and carts on the beach. Parking is easily available, so if you are going by vehicle, you can safely park your car in the parking lot. The Phoenix Market City is the best mall for shopping in Chennai. Apart from shopping, the mall offers visitors with plenty of happy experiences. There are pubs located inside the mall as well as a cinema hall and an entertainment zone. There’s also a spa that offers relaxing massages and a salon. Situated inside the IIT Madras Campus, the OAT (Open Air Theatre) in Chennai is a great place to visit at night. On Saturdays and the weekend, the theatre screens movies and even hosts live musical and theatrical performances. If you are looking for something different to do in Chennai at night, catching a movie at this open air theatre is a good thing to do. The experience of watching a movie under the stars is a magical one. 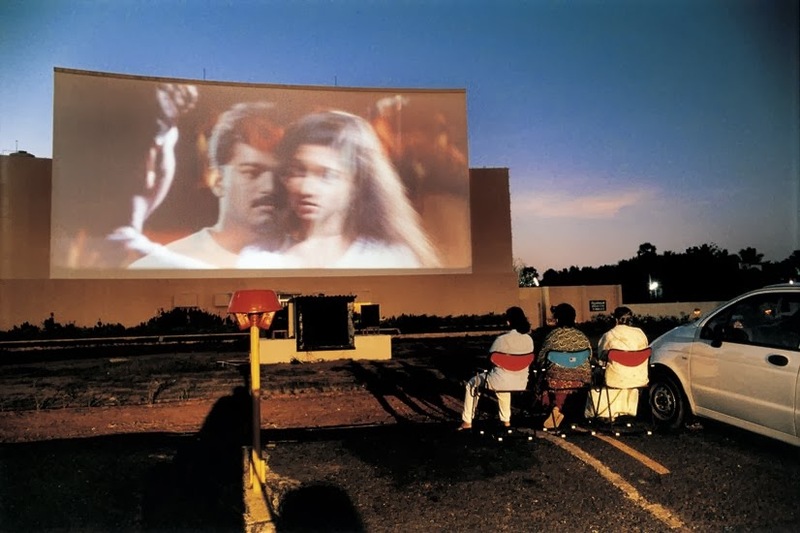 And, in Chennai you can witness that magic at the Prarthana Beach Drive-in Theatre. This theatre is located on the beach and screens the latest movies. If you are going with the kids, take them to the play park next door, there’s some amazing games and slides to enjoy. There’s also a restaurant that serves delicious local delicacies that you can savour as you watch a film here. Chennai is a hub of cultural activity. It hosts a variety of cultural events and musical performances. Some of the best names in the Tamil film and art fraternity have all performed at this venue. If you are culturally inclined, visit this venue and treat yourself to 0a live Kathak and Indian classical music concert. No visit to Chennai is complete without browsing through the many saree shops in the city. The best time for shopping is at night, this is when most of the shops are open. Since there are many shops to visit, you would probably want to start early. Nalli is a shop that is famous for their sarees, and you should begin saree shopping at this store. Their sarees are of excellent quality and you get to choose from a variety of colours and patterns. This cultural centre runs a variety of music performances in Chennai. Expect sitar performances, Hindi devotional music concerts, choir festivals and much more. A great place to be, if you love catching live music performances. 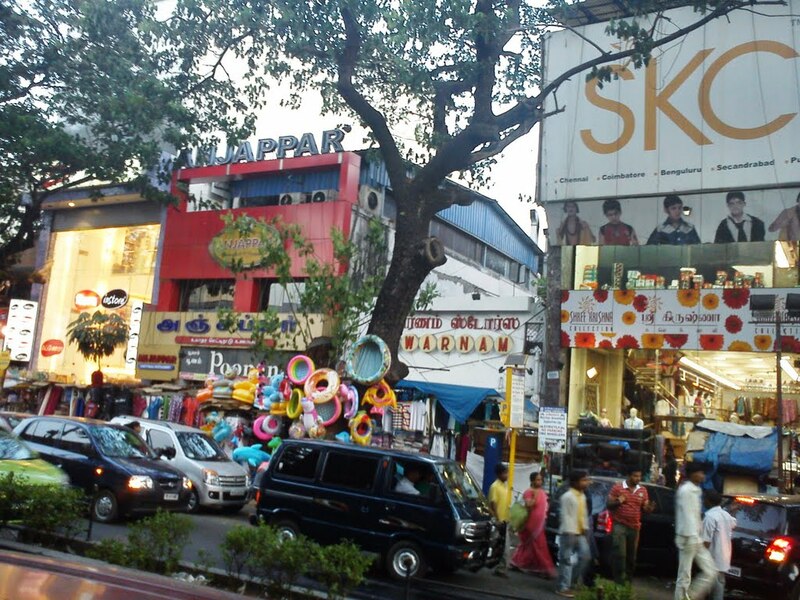 The Burma Bazaar is a great place to hang out at night in Chennai. At this market, you can spend hours browsing through the many street stalls and shops selling a variety of product. The bazaar is famous for its mobile, book and clothing stores. There’s also great street food to enjoy a Burma Bazaar, with many street food vendors dishing out Sundal, Idlis and other local favourites. Timing: 9 am to 10pm. If you are looking to grab a few late night eats in Chennai, there is not better place than Mathsya. This food joint is open till 1.30 am in the morning and serves delicious varieties of local delicacies, pastas, pizzas and much more. All the dishes on the menu are vegetarian and they have valet parking too. If you love partying at fancy nightclubs, then you will love Gatsby 2000. The club has the coolest décor in Adyar Park. The disco lights create the perfect ambiance. The DJ slowly sets the tempo for the night as he begins to crank up the beat as the night drags along. Prices are a big steep, beer costs around Rs.400 a pint and you’ll probably spend around Rs. 2,500 for a meal for two at the club. The best time to visit is when they have special DJ nights. To catch live telecasts of all the sporting action along with great food and drinks, head out to the US 101 – Be-A-Sport bar in T Nagar. The place is spacious and is surrounded by televisions, there’s also a large projector screen here. On the weekends and during the IPL, this pub telecasts matches live. If you go when the local Chennai team is playing, the scene is one helluva experience. Fans shout and cheer for their favourite men in yellow. Watch out for specials held during match days. Prices are reasonable, around Rs. 1,300 for a meal for two. For a night out of dancing and fun drop by at the 10 Downing Street in Chennai. This is one of the oldest bars in Chennai and they do a good Bollywood Night. Bring your best desi moves to the dancefloor as the DJ spins the hottest Bollywood music around. The best time is to visit in on a Sunday, that is when 10 Downing hosts Bollywood nights. Situated inside the Taj Club House, this nightclub and lounge is a plush space that is ideal for a chilled out evening over drinks and good finger foods. The comfortable interiors add to the relaxed ambiance of the place. You could choose to sit in the lounge area or opt to sit at the well-decorated and plush bar. The Leather Bar at the Park in Chennai is one of the few nightclubs that is open till 4 am. A great place for those who love late night hangouts, the food here is amazing. They serve crisp, cold beers, and there’s also a good selection of cocktails on their menu. We loved their Cosmo and the Whiskey Sour. Music is good too, the DJ plays good EDM and house music, with a little bit of Bollywood music thrown in. Chennai is home to some great restaurants, but one of the things that makes Chennai great for nightlife is the food places that are open till late night. One such place in the city is B.R. Maysya. At this reasonably priced joint, you can enjoy snacks till 2 am. They have everything from local favourites to pizza, pasta and even sizzlers. So, the next time you are looking to grab a snack or a meal in the wee hours of the night, head to Matsya. Chennai does not only have a decent nightlife, it offers you with other great experiences to enjoy at night. You could go shopping, catch a play, watch a movie under the stars and even watch a live music performance.